Enjoyment, achievement, and fun. 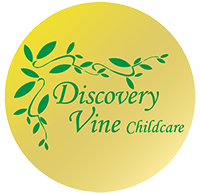 At Discovery Vine Limited, these are the principles that guide how we structure our activities. While safety and child welfare are critical, we’re concerned with giving your child an environment in which they’re able to be healthy and make a positive contribution to the club and their wider community. We are putting together a mailing list for our parents. We can keep you upto date with all the latest news on a monthly basis.